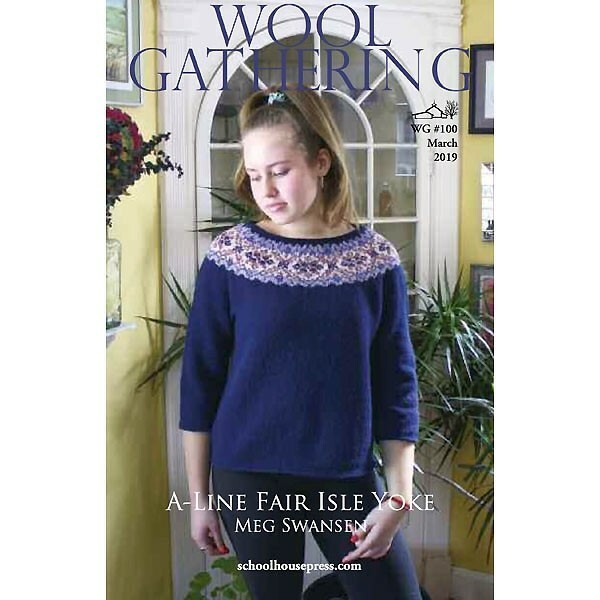 It seemed natural that for Wool Gathering #100 (an auspicious anniversary) I should return to my mum's basic EPS seamless yoke pullover, in homage to her 1958 Newsletter #1 (now available in The Opinionated Knitter). 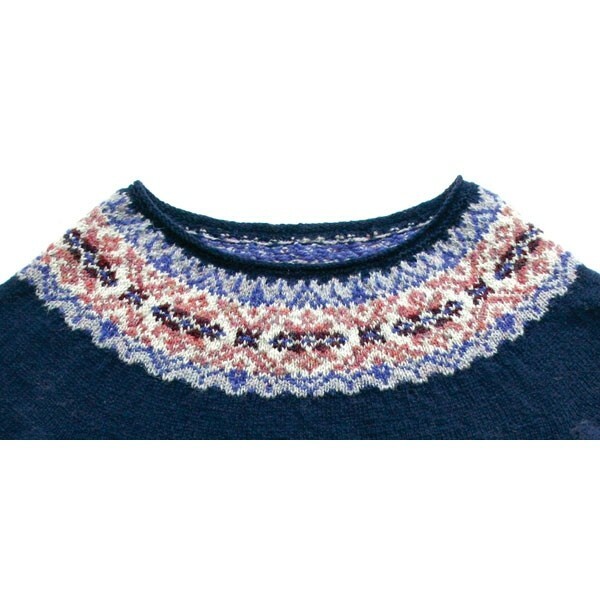 The design relates to NL#1 in the use of Shetland wool, and EPS (Elizabeth's Percentage System). I played with the dimensions and shaping, and it is my intention to show you how easily you can manipulate EPS to suit your needs. This sweater is full of deviations from the standard EPS yoke sweater, but the overall format is still your guide. 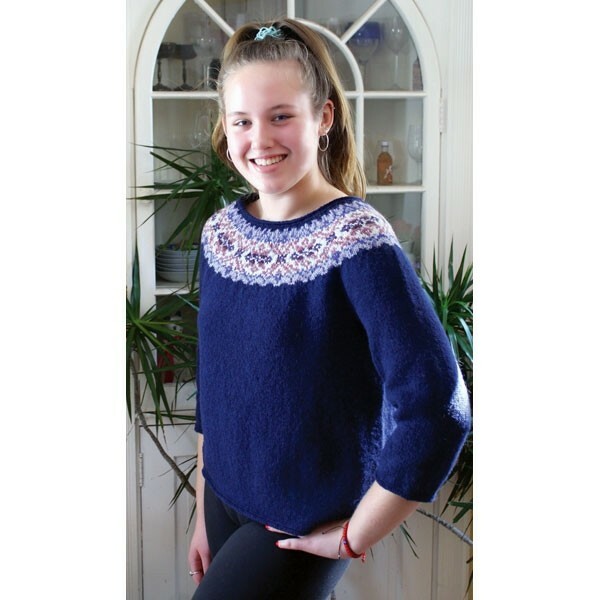 A few features of this design: short(ish) boxy body in Jamieson's Shetland Spindrift wool, 3/4 length sleeves, a shallow yoke with a Fair Isle pattern, a wide neck opening, subtle rolled edges, and a slight A-line (with instruction for a more dramatic A-line).